Over the course of her career, Stacy Edwards has brought to life some beautiful & inspiring characters. From her early films, like “In the Company of Men”, to her time opposite Mark Harmon on “Chicago Hope”, she always brings such depth to her characters. But Stacy’s talent does not end there, as she’s also an amazing teacher. Every week at KIRA, she teaches an Advanced Scene Study class with a selected group of students, where she’s able to delve into scenes and push their limits. Our studio is fortunate to have her heading up our theatrical department. I sat down with her last Thursday, where she shared some of her insights on acting, exclusively for our blog. How do you prepare for a role? How do you prepare for an audition? What are the differences? Actually, I prepare for both the same way. I approach my auditions as if I were reporting to set. First off, it’s important to know what it is that you are saying. For me, this does not necessarily mean memorizing the lines, but rather understanding the intentions of my character - what isn’t being said, but needs to be. I always have to know what I am saying before I make choices. Once I know what I am saying, I make decisions about my history. And know what it is that I want from the other actor. The more specifics you make, the richer the scene is and the richer the encounter with your actor will be. And once you report to set or go to your audition, you simply trust your homework. I think some actors make the mistake that they think the audition doesn’t need the same focus as the prep for arriving to set. But it does, especially in this day and age. What was your favorite project/role? Why? A couple pop into my mind that I really enjoyed working on and have a special place in my heart for different reasons. The first is “Vietnam War Stories – The Promise.” It was such a collaborative experience. All of us actors were very young, it was our director’s first film, our producer was a vet from that era, and the story itself was just so powerful. So, we really immersed ourselves and created a world for ourselves out in the high desert. It was a true acting experience – like our first high! (Laughs) It stands out for me more for the experience, and not necessarily my work. When I did “In the Company of Men,” I had the pleasure of working with two, at the time, unknown actors. It was very small, shot in about ten days and we really relied on each other. It surprised even us when our small little movie did so well! We threw ourselves in 110 percent and it showed. It was such a wonderful creative chance to work as an actor. I do have the good fortune of getting acting gigs and I don’t take those for granted; but I will say, the creative acting experience is kind of rare. It’s great to have those jobs, don’t get me wrong, but its rare that they feel so rewarding! And when one does come along its incredible... It’s why we do it! You know, a lot of things inspire me and I don’t know if this is going to come off sounding pretentious, but I am inspired daily. I am inspired by my students. Their unwavering commitment, enthusiasm, longing and desire to be and experience, truly is inspiring. But I’m also inspired by daily beauty; music, gorgeous LA weather & my son. Those are things that make me feel deeply and those feelings make me want to act. So at the risk of sounding completely pretentious, (Chuckles) that is my answer. What was your most challenging role and why? Honestly, for me, I find every role challenging. I’ll have my actor insecurities frequently pop up. Once I calm myself down and start doing my homework then I can start building on the character. It almost doesn’t matter what the character, I approach them all the same way and find each one a challenge. Do you still train and take classes? Why do you think training is important to even the working actor? I do still train. I wish I could train more often and there are tons of wonderful workshops and classes I would love to take. We are humans and not robots, which means we’re constantly changing. I’m not the actor I was at 21, just moved out here. I keep evolving. It is a muscle to listen, to trust fully and to remember the right questions to ask yourself. You can only keep all of this fine tuned, if you keep honing it and continuing to do it. Class is a great way to do this. I currently meet with other actors to keep on top of our game. Reading plays and scripts is also a way to educate yourself. Any opportunity you have to allow yourself to go into that imaginary world, and train yourself to know how you would embrace the imaginary circumstances, is crucial to keeping your mind fresh. I can’t say enough how important it is to get into classes. I know it can be a financial burden but it is a definite need and a must for one’s career. Stacy Edwards has been a working actor for 28 years. In television she was a series regular on Chicago Hope, has appeared in the TNT movie, Houdini, and was on HBO's Vietnam War Stories. 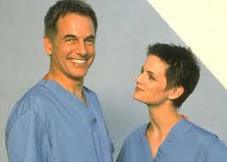 She has guest starred on numerous series, including CSI, CSI: New York, NCIS and Grey's Anatomy to name a few. In film she was nominated for an INDEPENDENT SPIRIT AWARD for her role in In The Company Of Men. You can also see her in Primary Colors, Super Bad, and The Bling Ring. At Keep it Real Acting, she teaches Advanced Scene Study and Theatrical Thursdays - a cold reading drop in class.